Stay effortlessly cool when you wear these Ray-Ban 4246 990 Polarized Clubround Sunglasses in a tortoise colour this summer. These sunglasses provide unconventionally cool style. 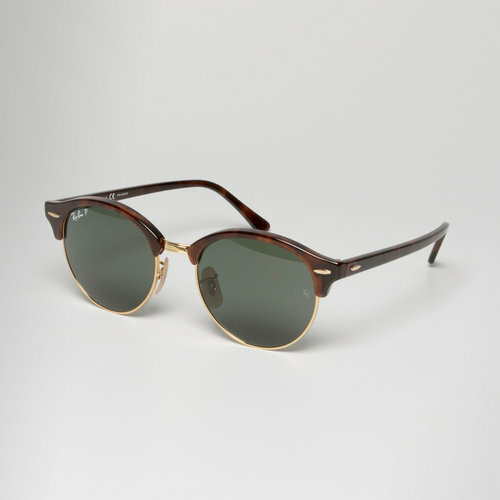 The newest Ray-Ban glasses were inspired by the authentic style of modern intellectuals and bohemian creatives. The Clubround glasses are unique yet unmistakable as they're a combination of two of the year's most successful trends, the Clubmaster and Round styles. This is an authentic design with unique colours and lenses. The Clubround's sun shape creates a bold identity with an unmistakable profile in premium quality acetate and metal that are resilient with a perfect finish. With classic and contemporary mirror lenses that guarantee 100% protection and ultra-clear vision, the Ray-Ban Clubround is a new icon with both style and substance.